Thinking of giving your girl flowers and chocolates for the day of hearts? I might have to stop you right there. Gone are the days of popular and cliche Valentine's Day gifts. This 2017, it's time to shake things up. Here are some tips on how to upgrade your gifts. Flowers and chocolates are a Valentine's Day staple and nothing says "I love you" more than a box of chocolates and a bouquet of flowers. 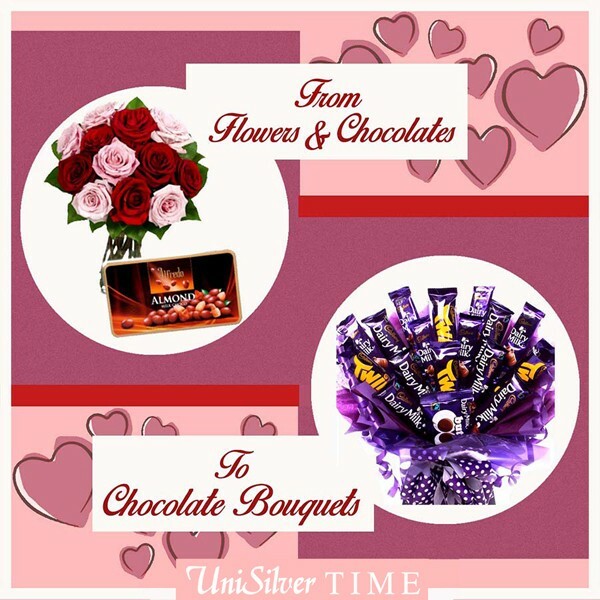 This year why not change it up and give her a chocolate bouquet. It is a combination of all her favorite treats like chocolates and candies (even non-edibles like her favorite make-up can be included!) arranged beautifully like a bouquet of flowers. Inserting roses give it more romance. If you can't make this unique bouquet, you can order online here. It's a more personalized twist to a classic Valentine's gift. It might seem childish but Valentine's cards are still a nice gift. It shows how you feel for her. That being said, giving her the traditional Valentine's card must be upgraded - this time, give her a puzzle. A lot of different shops offers this and you can even make your own. It's a photo of the two of you, your message, or both, cut into small puzzle pieces for her to put together. It's a challenging yet fun way of telling her how you feel. Surely, she would love to have a day on the salon to have her hair styled and her hands and feet done, or to have a trip to the spa for a relaxing massage. However, she might have done that so many times like a routine that treating her to one as a gift won't be anymore appealing to her. 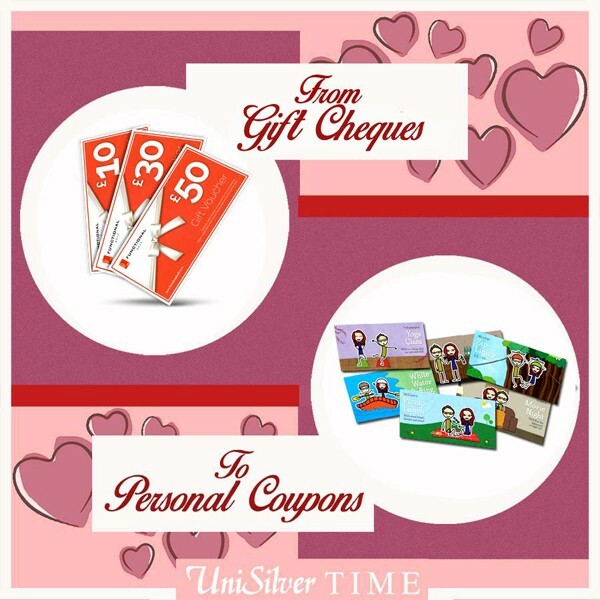 For this year, give her something more personalized - give her your own coupons wherein she could cash in and you'll do different tasks for her. Just get pieces of paper, as small as a calling card to as large as a bill, and then write a task for each paper. Don't forget to add some design to make them cuter. You can wash her laundries, or cook her a scrumptious meal or even watch together with her her favorite romantic movies. It is a nice gift to show her that you'll do anything for your princess. Just don't back out (unless you have a really valid excuse) when she decides to redeem the coupon, so as not to ruin her fun. Another book from her favorite author would make her go crazy but instead of reading another person's work, why not give her something you wrote. This gift is so simple to do. All you need is a jar. Decorate it, and then on small pieces of paper write different things you would like to tell her. 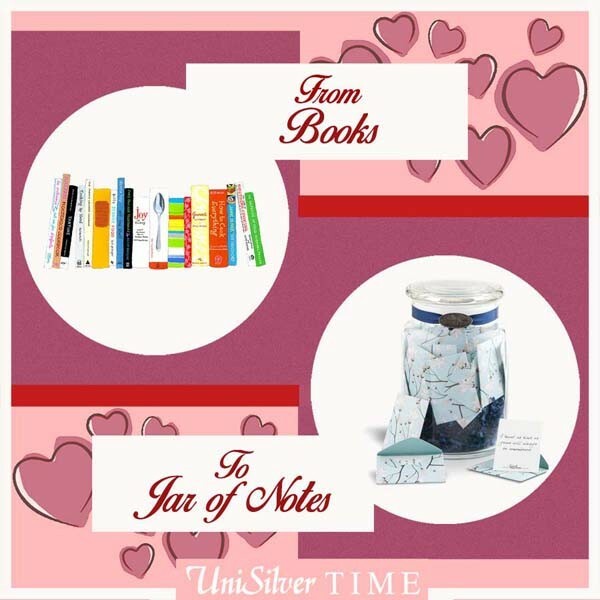 It could be your favorite moments with her or the words you are too shy to tell her, anything goes and if you are really in to it then make 365 notes for her, one for each day of the year and make her fall in love with you every day. Another popular Valentine's Day gift is a teddy bear. Who wouldn't want one? - cute furry little thing that you can cuddle and bring anywhere. But this year instead of buying one, why not make her a memory bear. Memory bears are teddy bears made from articles of clothing. You can use one of your shirts or pants (make sure they are not ratty and dingy!) that she really loves and turn it into a memory bear using basic sewing skills. It is quite easy as there are a lot of tutorials online. This way she'll have a teddy bear with your personal touch, so that she could remember you all the time. Some couples like to show the world that they are indeed together, so they go out wearing couple shirts. For a time its seems cute, but now when almost every pair is doing it, it had lost its novelty. 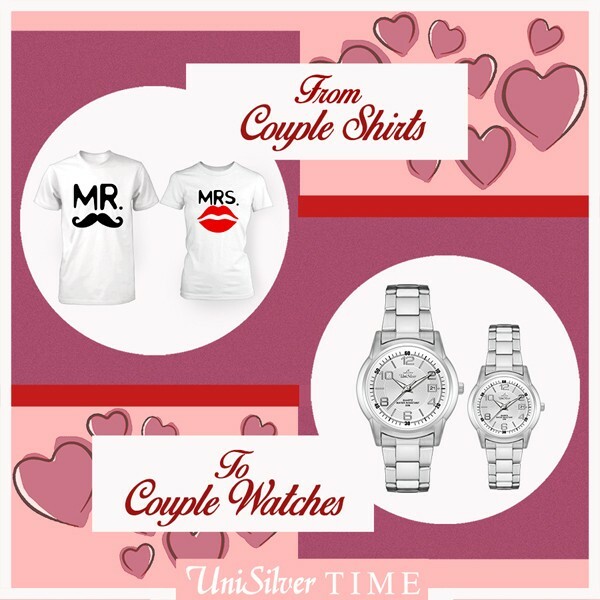 Why not have a more subtle way of showing the world that you are a couple, with new pair watches? There are a lot to choose from that you can match up with each other's personality. They are a nice accessory to your daily look and they will last for a long time. You could even synchronize your time together, so that no one would be late for a date. A win-win situation for both. There you go! 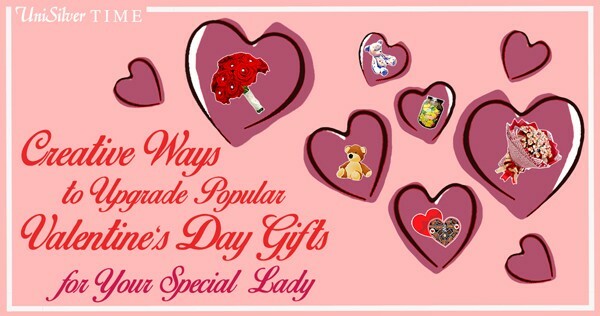 Surprise your girl with this new improvements of popular Valentine's Day gifts and make her feel how much you love her!